Today, November 12th only, head over to Amazon.com where you can score this Masterbuilt Butterball XL Electric Fryer for only $87.19 shipped (Retail $209.95). 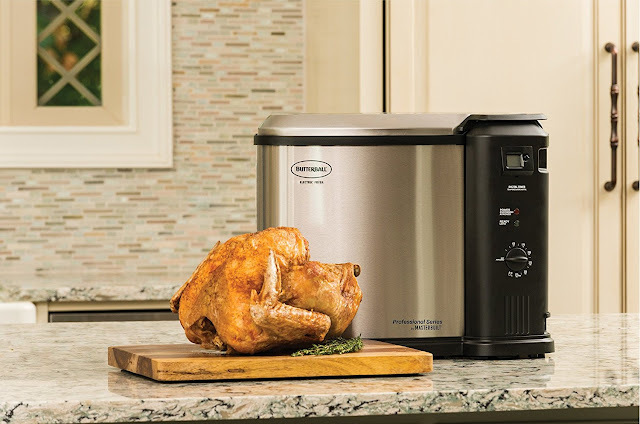 Enjoy fried turkey and more with this Masterbuilt Electric Fryer! It uses 1/3 less oil than traditional fryers and can hold up to a 20 lb. turkey, 5 lbs of chicken wings or a large seafood boil! It features a built-in drain valve and all of the components are dishwasher safe.